Pre-order bonuses can get pretty bad, but it’s not very often they break your game entirely. 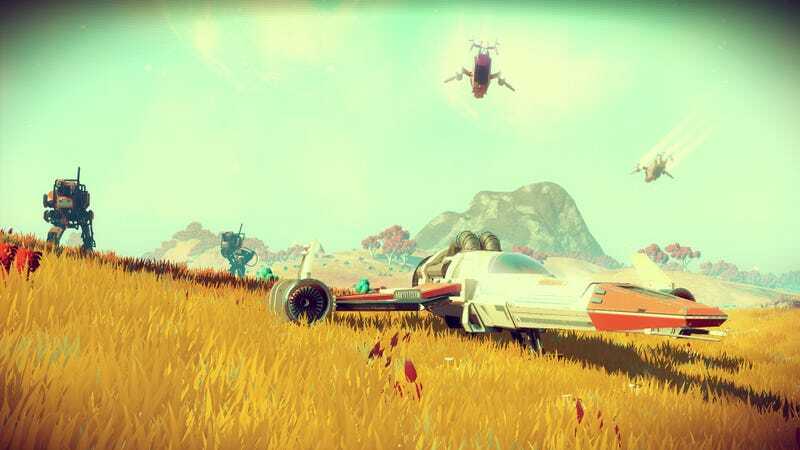 Until No Man’s Sky. Problem is, the Alpha Vector ship you get from pre-ordering at retailers like GameStop comes pre-installed with its own hyperdrive. That means you can warp around the galaxy without actually starting the opening sequence and getting the hyperdrive or antimatter blueprints, which has led to some problems as people find themselves unable to make any progress in the game. Hopefully the developers at Hello Games will find a fix soon.